Welcome to Free the Captives’ 9th Annual Houston Human Trafficking Conference! Do you want the latest information and updates on human trafficking in Houston? Come to Free the Captives’ 9th Annual Houston Human Trafficking Conference! This is a fantastic opportunity to learn about human trafficking from the experts and how you can get involved in fighting this terrible crime. Join us on Friday, January 25, 2019, at the United Way, 50 Waugh Drive, Houston, TX 77007 from 8am to 4pm. The goal of Free the Captives’ conference is to equip and train nonprofit and ministry leaders as well as anyone in the community who wants to make a difference. We will provide you with critical information and practical tools to stop human trafficking. REGISTER TODAY! 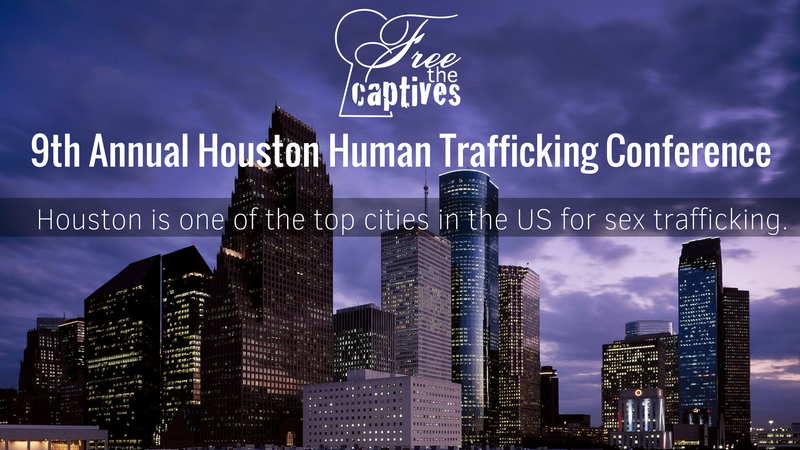 Nonprofits, ministries and other organizations can apply to have a booth at Free the Captives’ Annual Houston Human Trafficking Conference. Please apply early as space is limited. There are also sponsorship opportunities for businesses to support the conference. Email info@freethecaptiveshouston.com for questions, and download booth and sponsorship info below.